The Assumption Greek Orthodox Church is sponsoring the Taste of Greece dinner. The dinner features Greek-style roast lamb and potatoes (fresh out of the oven), roast beef, Greek salad, spanakopita, farithopita (walnut cake), feta cheese, roll, and a drink. 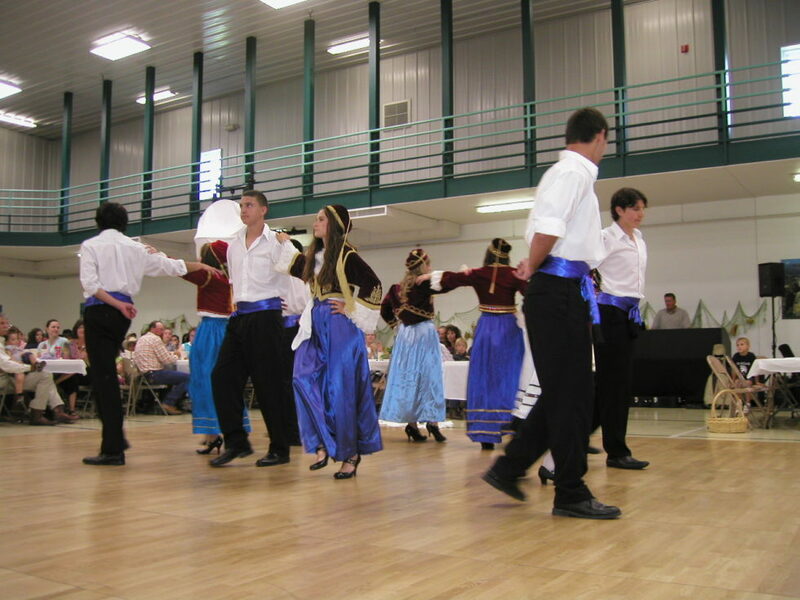 The event will feature a performance by the Athenian Dancers and open dancing to traditional Greek music. Greek sweets will be available for purchase as well. The meal will be served from 11:30 AM – 1:00 PM. All proceeds go to the church. Prices are $20.00 per meal for adults, $10.00 ages 6-12, and free for children under six.